Can I use it with dura ace 10 speed bar end? Will this shift lever fit a Sturmey Archer bar-end shifter pod? I would like to use this shifter lever with the shifter pod from a Sturmey-Archer 5spd SLS50 T5 Barend Shifter. The fittings are the same so this shifter would indeed fit to a Sturmey bar-end shifter pod. Hi, is this the correct shifter to use with a Summit S5 hub? It's just like a sprinter only with a different axle and sun gear clutching mechanism (still single indicator chain), It has what I believe to be the narrower ratios of 0.66, 0.79, 1, 1.27 and 1.5. Is the cable pull different between these older 5 speeds and the newer (w) models? Hi, we believe this shifter will work with your hub. Thanks. Your SJS part no 13639 appears to be identical to my existing single cable trigger (which may need replacement soon). Can I use this cheaper and better-looking SJS 36991 instead, please? This newer shifter uses the same cable pull so will be absolutely fine for use with your Sprinter hub. Is This The Correct Shifter For The X-Rd5 Hub You Stock Then? Is this the correct shifter for the X-RD5 hub you stock then (the closer range non 'w' one)? We normally recommend the SLS50-T shifter for use with the X-RD5 hubs as they are all the (W) model. I'm afraid not, this shifter is designed for fitting onto handlebars that are 22.2mm in diameter. 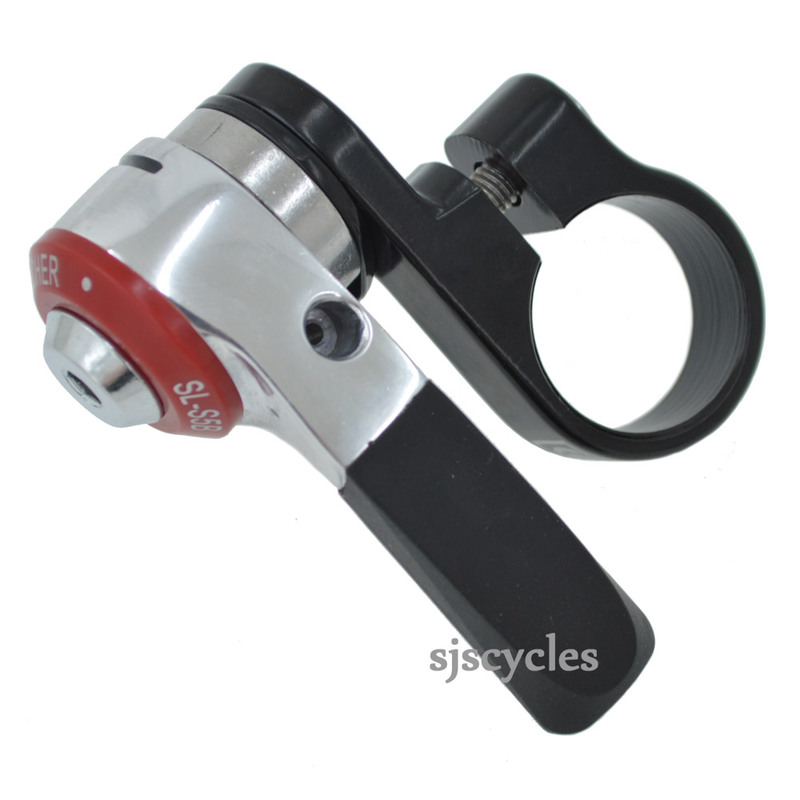 SturmeyArcher 5spd SLS50 T5 Thumb Shifter? whitch shifter do I need vor this Hub? They don't actually differ that much, but I'd recommend going for the Sprinter specific shifter as you have a Sprinter hub.